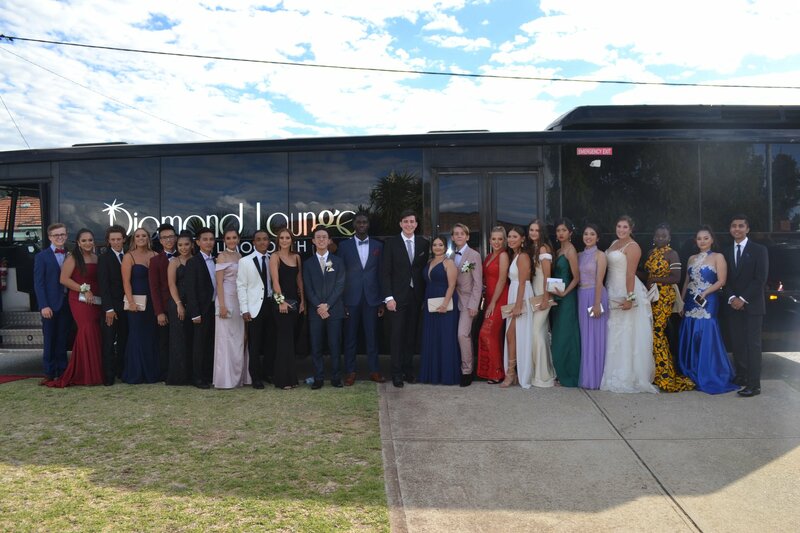 The Diamond Lounge Limocoach is the only way to travel to your next school ball. 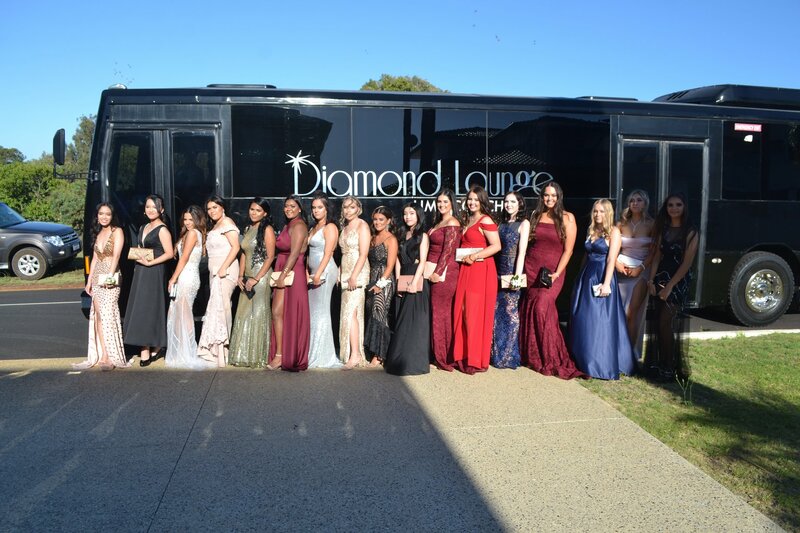 Now, you can travel with 30 or 40 of your mates in unprecedented luxury and style on board Perth's one and only 30 or 40 seater Limousine!!! Allow our staff to entertain you en route to your formal, with our unbeatable sound system, music videos, karaoke, and 2 massive LCD's. Head up to Kings Park and grab a great group photo or head to the coast for an unforgettable sunset shot that you'll remember forever. Our coach is full height and spacious so you can now stretch out, swap seats and live the life of a VIP traveling to your school ball. As the rules get tighter for afters, why not keep cruising with us in safety and we will drop you home at the end of the night. -Pick up from Pre Ball! -Photo Stop at either kings park, South Perth Foreshore or a park/location of your choice! -We offer free photography the Pre's when we arrive, on board and at the photo stop too. -Bring your own play lists, connect your iPhone/android, iPod etc... We provide aux cords on all buses or listen to our iPad with over 10 000 songs! 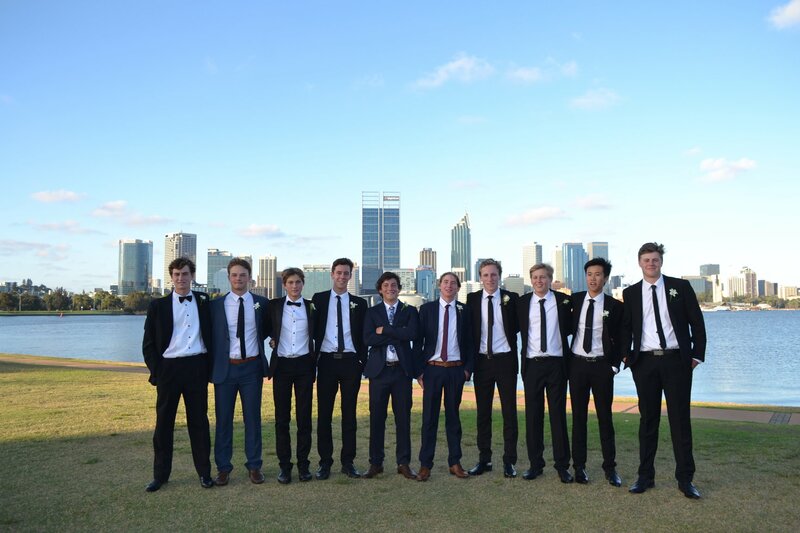 *We recommend pick-up 90 mins pre ball for photos at requested location ensuing a relaxed journey & arriving on time. All charters come with: our staff are well dressed, vibrant, friendly and professional as customer service is our number 1 goal. Throw in a pole, dance floor, smoke machine, 4 microphone Karaoke, on board bathroom (30 Seater), 3 Mini Bars, the best in sound and lighting, red carpet rolled out your arrival/departure, Free water and photography, why would you bother with anything else! 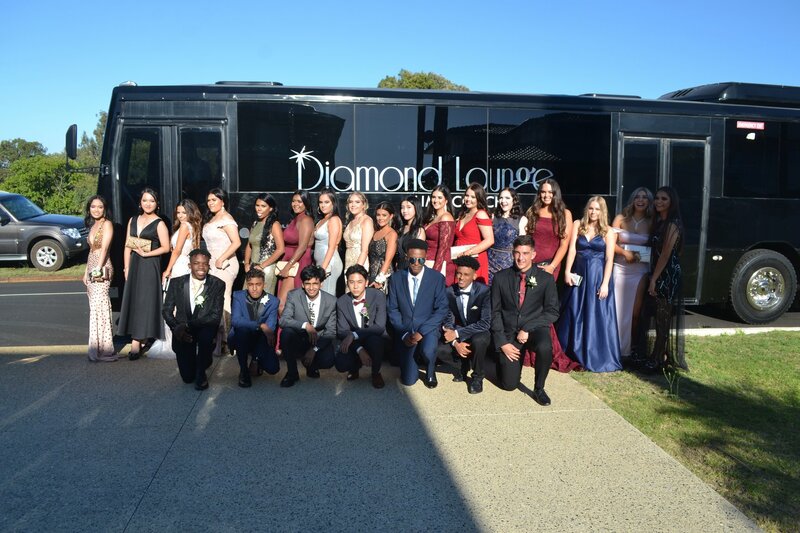 Let Diamond Lounge show you why its the Leader in School Ball Transport!